MailChimp for Shopify integration for existing users will be usable until May 12, when the new terms are scheduled to take effect. All MailChimp for Shopify integrations users and partners are advised to choose alternatives for MailChimp to connect their accounts to before the given date. Shopify claims that they have had concerns about MailChimp’s poor merchant experience and refusal to respect Shopify’s Partner Program Agreement. These terms require their “app partners to share all their important data back to the merchant using Shopify’s API to help them run their business”. According to the same statement, sharing this information is critical for merchants to get accurate and complete insights into their businesses and their customers. Both parties decided to disengage from their partnership due to privacy concerns. The two companies were not able to decide on a compromise that would benefit them both. No immediate changes are expected. 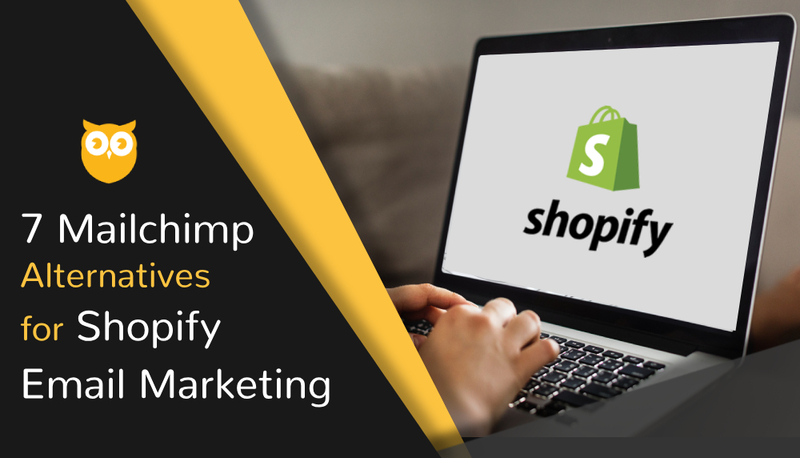 However, MailChimp for Shopify users, partners, or customers were advised to start looking for alternatives for Mailchimp to connect their accounts to before May 12. This is to avoid losing important data and problems which may occur if the integrations are not fixed before the new terms take effect. Features: This ESP offers drag and drop editors with pre-designed blocks for embedded surveys, social media posts, landing pages, and pop-ups. It can also be used to create email automation and segmentation. Features: SendinBlue offers a mobile-friendly email designer and workflow editors that account owners can use It also has an extensive library of email templates and customizable sign-up forms. You can also check its real-time reporting to see your progress and the current status of your email marketing campaigns. Features: Aside from Shopify, ConvertKit can also be integrated with WooCommerce, Zappier, and SumoMe. This integration is best suited for bloggers. It allows users to their own automation rules using the tool. Using the tool, users can create landing pages, set up email automation and broadcast, as well as generate campaign reporting. Features: This app is capable of creating SMS Automation, Facebook custom audiences, and Google remarketing lists. Users can replace most of their smaller apps to make lead forms, landing pages, predefined marketing automation flows, advanced visitor segmentation, SMS marketing, etc. Features: Privy can be used to make customisable and mobile friendly popups, banners, flyouts, scroll boxes, announcement bars, and embedded forms for lead generation. Features: Klaviyo allows users to create pre-built autoresponders, Facebook advertisement, signup forms, pop-ups, email newsletters, triggered emails, and personalised emails. Users can also use the tool to generate ROI-based reports and monitor campaign performances using its real-time tracking feature. Features: This tool is supported with the creation of landing pages/web forms, mailing list management, mobile optimised emails, reporting/analytics, subscriber management, template management, WYSIWYG Email Editor and allows users to apply A/B testing, equipped with Auto-responders, CAN-SPAM compliance, customer surveys, Drip campaigns, dynamic content, event-triggered email, and image library.